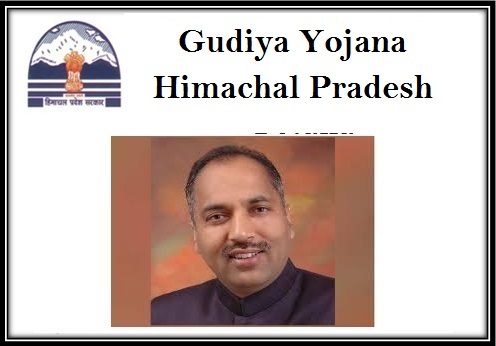 With an aim to eliminate crime within the state of Himachal Pradesh, the state government has announced the launch of the new Gudiya Yojana implementation. According to the sources the new scheme is aimed at offering better law and order conditions in the state for women and senior citizens. The new Scheme was announced and launched under the leadership of the state’s BJP lead government. The scheme was launched after approval from the state’s Chief Minister. The approval and launch of the new scheme was officially declared in the manifesto of BJP lead state government’s document – vision document released by Arun Jaitley (Union Finance Minister). Under the new launched scheme the state government aims at improving the law and order condition for women and girl child in the state of Himachal Pradesh. The state government will also work on helping in eradication criminal activities that take place against the women and girl child in the state. The government has also made it very clear that by implementation of the scheme it shall regulate and control the issue of drug abuse amongst people in the state. Once the scheme has been implemented and fully functional in the state, the government will be able to regulate and eradicate the ongoing mafia raj. The implementation of the scheme will further help the government to restore the best condition of regulation and law within the state’s limits. Apart from this, the government can also ensure better security offered to the women and girl child. To make the process of implementation more effective the state government has also announced that it shall be setting up help line numbers for the people in the state. Anyone can register and report any complaints against any type of criminal or illegal activities going on within their locality. The toll free services will help the citizens to stay connected to the Police stations and Chief Minister’s office 24 X 7. Under the scheme the government will also set up a special task force formed collectively by well trained Ret. Somnath Vahini (Ex-servicemen). The task force will also be responsible for checking with illicit drug and narcotics activities going on in the state and control them. In case of emergency the state government will also be providing with special medical care for the victims within the state in villages and rural areas. The state government of Himachal Pradesh has already made their motive of making the state a safe place for senior citizens and women. The scheme mainly focuses on offering with best security for women and children alike. The government of Himachal Pradesh had announced a new scheme in January 2018, targeted towards women safety. Women in the state will be able to call up on the number 1091. This is a tollfree helpline number. The Gudiya Helpline will assist females to register their safety related concerns. Though the scheme has not been officially implemented, the helpline number has already become active. This will empower women as they will be able to launch complains without the fear of identity exposure.